A few months ago, we did a review of the streaming service, Philo. Back then, they were only available on the desktop and iPhone/iPod Touch with the other option to download the iPhone app onto an iPad, but no specific iPad app has ever been made for the service. As of last week, they now officially have an app for the Apple TV. With that said, here are my thoughts on this new app. For starters, the user interface is clean and looks similar to the iOS version. I also like how it has recommended channels for popular programming. This means that if Comedy Central is airing reruns of South Park, it could come up as a popular show to watch at that moment. What makes this app great is watching content on the big screen and that’s exactly what this app does. The best feature on this app (other than watching live TV on the big screen) is that it is easy to DVR shows that you might have missed. By doing so, all users have to do is save the show as one of their favorites and Philo does the rest. 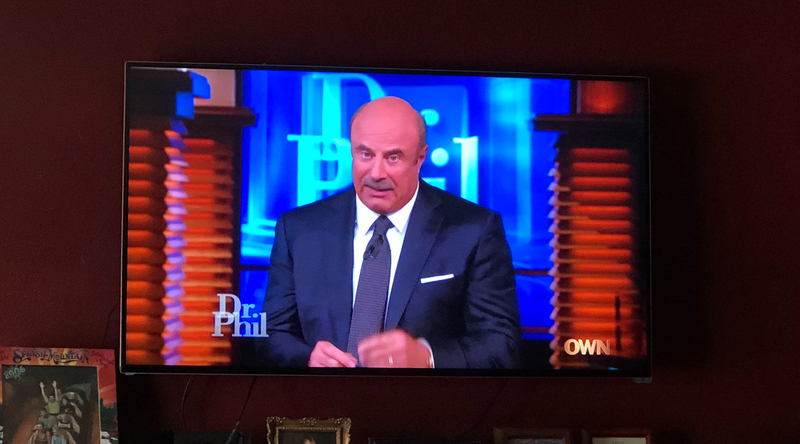 I tried this out with Dr. Phil on the Oprah Winfrey Network (OWN) for my mom while she had free time or before she was going to bed. It was one of those things where it just worked. There was no buffering and you can fast forward through commercials, which for people that don’t want that makes the service even more worth it. I will say that I do not like how they do the DVR and on-demand content since it contains a lot of swiping and not so much of an option to view the on-demand content in a list type of way and to also see the description of the episode. Right now, all you get is the episode name which is not always something that I or other people want. To fix this, I would recommend that Philo allow the option for users to see it from both an iTunes album cover-like way or by allowing a simple list view like they do on their iOS app. 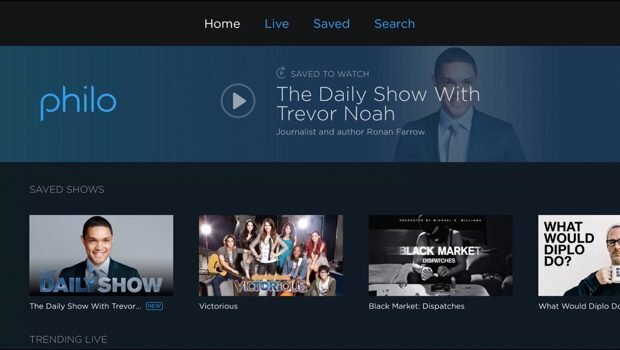 Philo is currently available for $16 a month and comes with 40 channels, which does come with most Viacom channels. The service also has a $20 a month option that offers you more channels such as Nicktoons, BET Her, Cooking Channel and a few others. Overall, the new Philo for Apple TV app gets 3/4 stars from me. It is something that is only going to get better as it goes on, along with the fact that as long as you are not a huge sports fan, you will always be able to find something for everyone in your family to watch.